Hydraulic Cartridge Valves - Fluid Power Products, Inc. The Fluid Power Products Engineering Team is ready to assist your company with its hydraulic requirements. Fluid Power Product's experienced engineering staff will work with your designers to develop state of the art packaging concepts with cost effective solutions. Fluid Power Products has over forty five years of design experience in the application, selection and manufacture of standard and special hydraulic components, hydraulic systems and integrated hydraulic manifolds. Custom designed, integrated-circuit manifolds featuring SUN Hydraulics' floating cartridge valve technology. System Design and Component Selection. 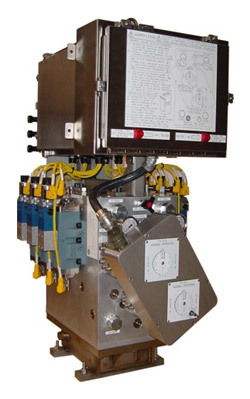 Hydraulic Servo and Proportional Control Systems. Hydraulic Power Units in Fixed, Variable and Multiple Pump Types. Our in-house engineering capability includes an experienced CAD design and production team equipped with the latest in 3D computer modeling, desktop publishing, document e-mail, EDI, and fax communication equipment. For more information on our hydraulic cartridge valves, manifolds and pumps, contact us today.